There are only a handful of video game characters who have managed to pierce the zeitgeist of popular culture in the way that Lara Croft has. No matter who you speak to, everyone is aware of who the British explorer is and her video game origins. With that said, in the 20 years that Miss Croft has been around, she has been re-envision multiple times through both cinema and the digital video game landscape. Courtesy of Square Enix, Croft was once again reborn in 2013 with an all new video game trilogy. Starting with Tomb Raider (2013), then moving on to Rise of The Tomb Raider (2015), and now culminating with Shadow of The Tomb Raider (2018) – Lara’s latest reboot has come full circle. So how does the latest entry in the trilogy fair when compared to the others? For the most part, it is an excellent return to form that tugs on the strings of nostalgia for gamers who are familiar with the character’s video game debut. With that said, it is not without its issues. In Tomb Raider (2013), a young Lara croft had to fight for her survival. She learnt, first hand’ what ‘kill or be killed’ meant, and it helped steel her for the eventual throw-down with the main villain in the game. In Rise of the Tomb Raider (2015), Lara’s new found taste for exploration caused her to become embroiled in an all new and engrossing story about the truth behind her father’s demise, one that involved an elusive and despicable secret organisation and, worst of all, deep seated betrayal from those she held dear. The first two games did an excellent job of developing and nurturing Lara as an actual character. Instead of the hardened ‘Tomb Raider’ that most people were used to from previous games, the new games sought to flesh out the trials and tribulations that turned Lara into the stoic, powerful and thrill seeking protagonist that everyone knows her to be. 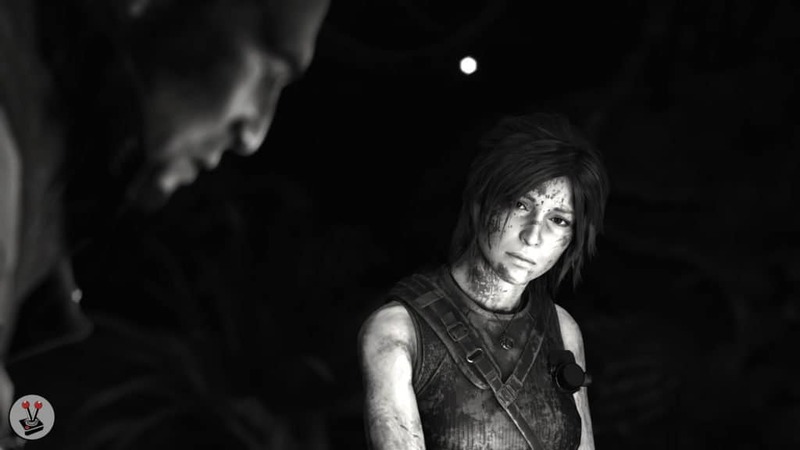 Shadow of the Tomb Raider continues this narrative, but does so with a focus on Lara’s lack of wisdom and her dire obsession with the ‘truth’. Of which the latter most point has consequences so far reaching; that if she is not careful, she will not only destroy those she cares for most, but she will inevitably become the evil she seeks to rid the world of. In Shadow of the Tomb Raider, Lara is once again on the trail of Trinity – the same secret organisation from the previous titles. This time, she preemptively strikes against them, and inadvertently causes the Maya apocalypse to manifest. Her actions cause the head of the organisation, Dr. Dominguez, to confront her directly with this new reality. 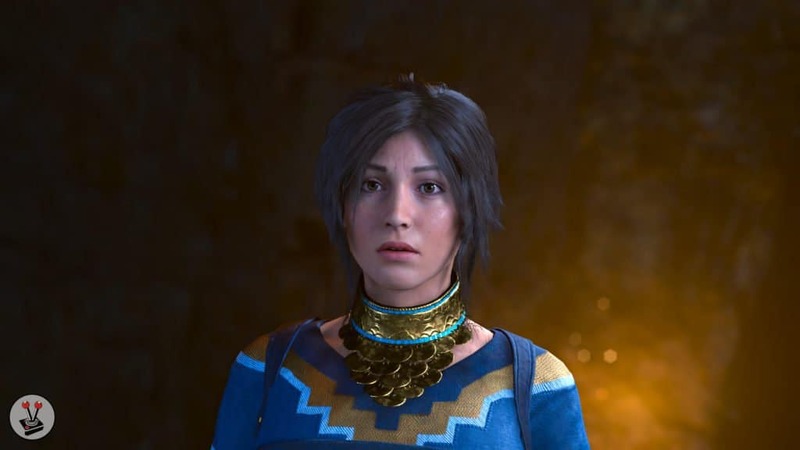 Lara’s disbelief that she may be the cause of the impending doom is an interesting plot element, and it is one that is well executed. It allows her to develop a sense of long overdue maturity, whereby every action has a consequence. 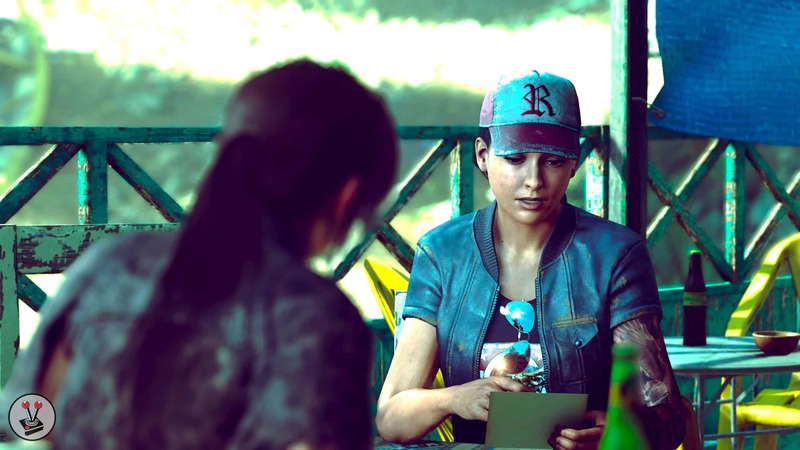 This new wisdom then becomes her new driving force in the game, whereby the narrative consistently showcases how Lara is slowly grasping the gravity and reality of her obsessive behaviour. There are some really wonderful narrative elements strewn throughout the campaign that do a great job of further fleshing out Lara’s character. I will not go into too much detail, so as not to spoil the small twists and turns, but I found that they offered some truly satisfying character building. Croft Manor is one such stand out point in the game, a completely unexpected reprieve from the Jungles of Peru, but one that offered a wonderful look at Lara’s most formative years and the possible point of origin of her obsession with exploration. Another earmarked moment is when you discover The Hidden City of Paititi for the first time, and the people therein. The story that unfolds there is both engrossing and unexpected. Unfortunately, it is also fairly cliched once the main ‘twists’ are out of the way. With that said, one of the best elements of the game and narrative is the relationship between Jonah and Lara. There are simply too many moments to mention, but the way in which their friendship blossoms over the course of the game is truly heartwarming. 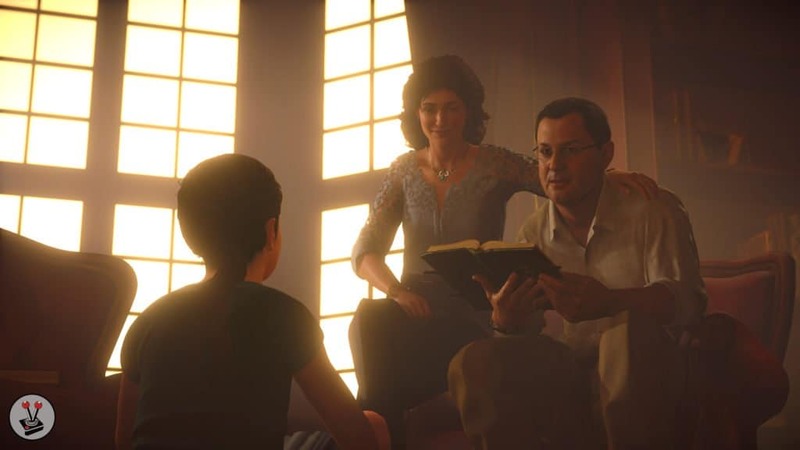 Simply put, Jonah is the Yin to Lara’s Yang and the tether that helps keep our favourite explorer tied to reality. The core narrative elements in Shadow of the Tomb Raider are executed quite well. However, when compared to the previous games, specifically Rise of the Tomb Raider (2015), the new game clearly lacks the intrigue and subtle nuance that helped make Lara’s journey so engrossing. 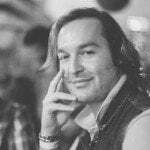 In my time with the game, I often found the narrative to be more of a second thought to the exploration, an aspect that is both a positive and a negative for the title. 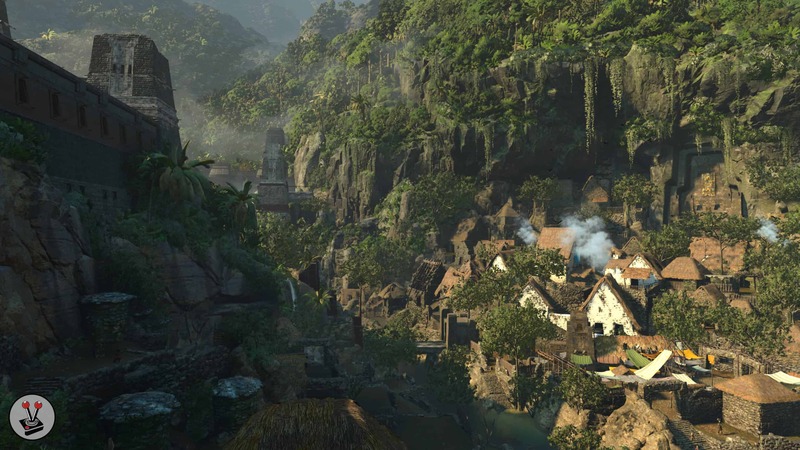 There is no denying that exploration is a massive focus in Shadow of the Tomb Raider. In fact, I dare say it is the primary aspect of the game when compared to the two titles that came before it. 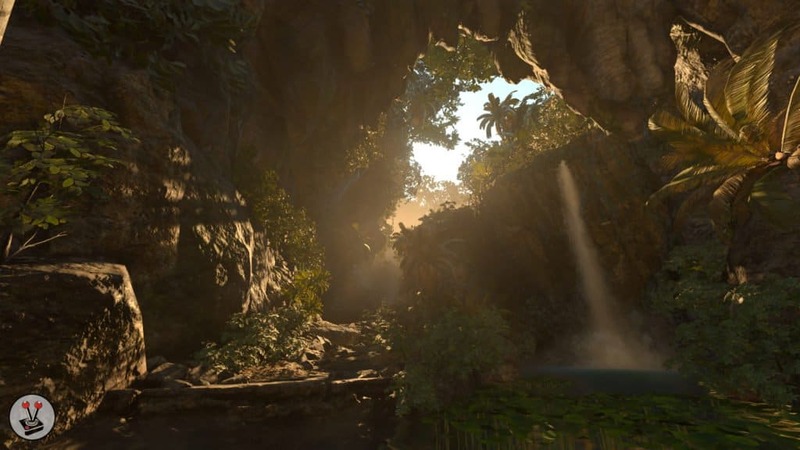 Although Tomb Raider (2013) and Rise of the Tomb Raider (2015) featured some beautiful locales, they had a larger focus on entertaining set pieces, action and narrative embellishments than they did on exploration. 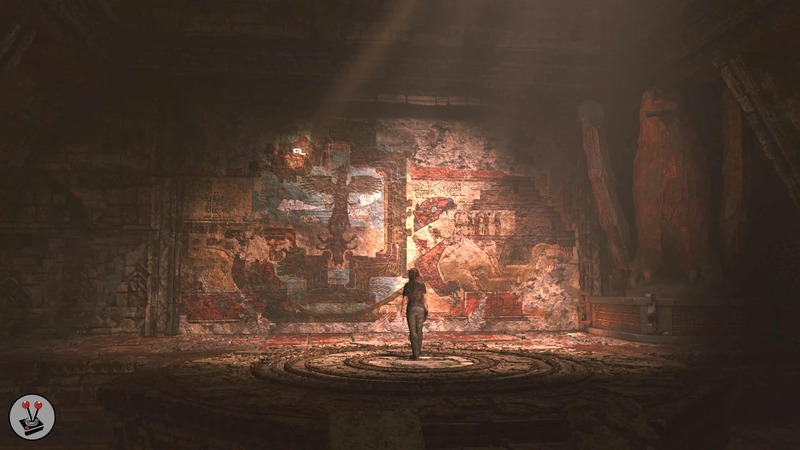 In Rise of the Tomb Raider (2015), for example, Challenge Tombs were beautiful, but served no real purpose other than offering additional experience points. 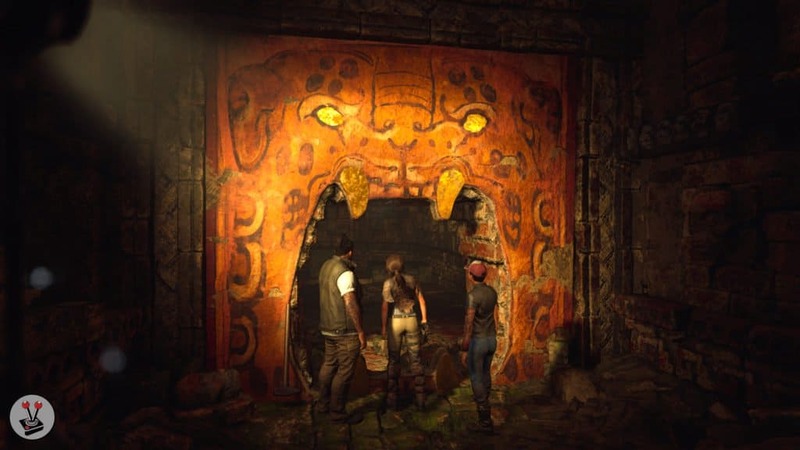 In Shadow of the Tomb Raider, however, Challenge Tombs and crypts are part and parcel of the world. In addition to that, exploring them serves as true challenges, with puzzles so devilishly crafted that you will be hard pressed to not Google solutions. Better still, completing Challenge Tombs awards players with new abilities for Lara, thus creating even more of an incentive to find and complete them. The game world is also littered with artefacts, documents, backpacks, GEO caches and more; all waiting patiently for you to find them. 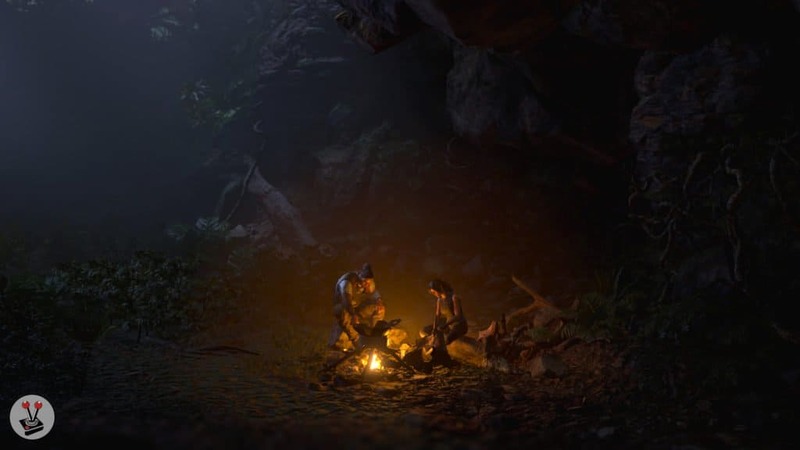 This time around, when found, artefacts are described and journal entries are read allowed in Lara’s voice – a small change from previous games, but one that helps to further solidify Lara as the ‘Tomb Raider’. I personally like the change, but I do wish she could read the entries aloud once the relevant menu has been closed. Thus allowing you to continue on your way, whilst Lara talks about her most recent find. In order to further enhance the explorative nature of Shadow of the Tomb Raider, Eidos Montreal included the ability to modify the difficulty options for combat, puzzles and the environment. This small change is arguably one of the best additions to the entire franchise. The human element in both Tomb Raider (2013) and Rise of the Tomb Raider (2015) were my least favourite aspects of those two games. The same holds true for Shadow of the Tomb Raider. To me, they make Lara out to be more of a needless killer than an explorer. I am also someone who prefers exploration over combat. Thus it was such a breath of fresh air to find options in the game’s settings that allowed me to cater the game to my personal preferences. 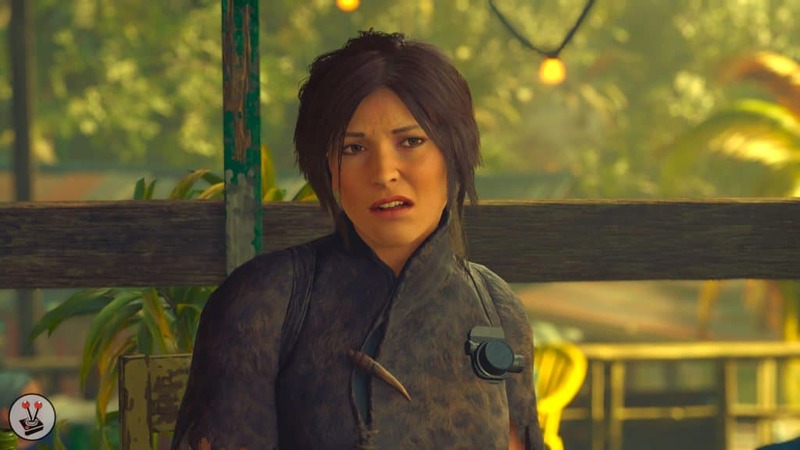 As such, and for my play-through of Shadow of the Tomb Raider, I set the difficulty as follows: combat to easy, exploration to hard and puzzles to normal. Doing so allowed me to deal with the human elements in the game with ease, whilst allowing me to become engrossed in the gorgeous world created for the game. 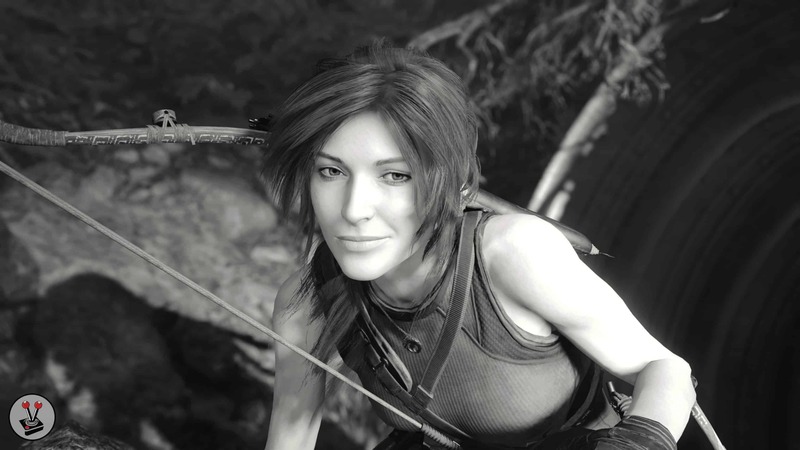 Setting the exploration difficulty to hard meant that there are no indictors in the game to signify which walls can be climbed, base camps are more challenging to spot, and Lara’s survival instincts no longer work for exploration. This option, along with the game’s complete lack of any Heads Up Display (HUD) to speak of, meant that I truly felt like I was Lara – an explorer who uses only her wits, skill and cunning to overcome deadly environments. This resulted in some of the best ‘tomb raiding’ experiences I have ever had in the franchise’s history. I enjoyed exploring the game’s utterly gorgeous locales so much, that it took me close to 20 hours to reach the game’s largest hub location – The Hidden City of Paititi. Hub areas are an all new addition to the Tomb Raider franchise. 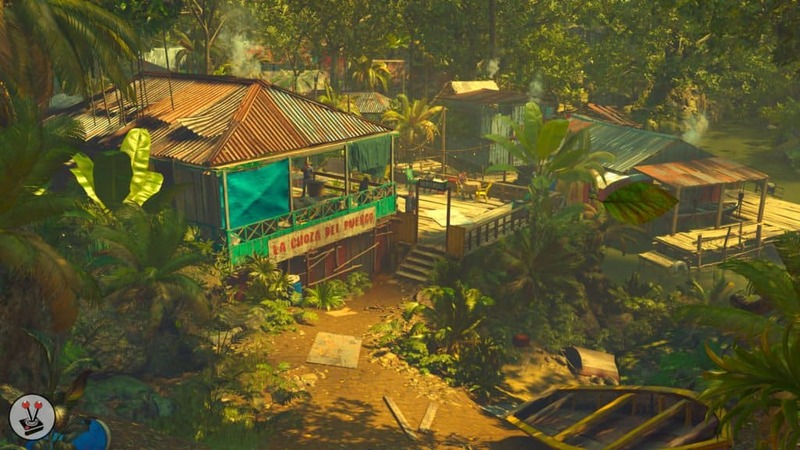 In Shadow of the Tomb Raider, these are unique locations that allow Lara to interact with locale inhabitants, either by helping them solve problems through side-quests, purchasing goods and supplies from merchants, or by simply walking around and making polite conversation. The Hidden City of Paititi is the largest hub area in the game, and it lends an otherworldly feel to Lara’s adventure, one not yet seen in a Tomb Raider game. In fact, it reminded me a lot of Assassin’s Creed Origins, a franchise I wish Square-Enix would take some inspiration from – specifically for Lara’s ability to move around her environment [it is 2018, time to let her climb on anything in sight]. Although it took me 20 hours to reach Paititi, I must admit that any normal player would be able to reach the hub city in under 10 hours. Particularly if those gamers are more interested in action than exploration. Simply put, I ended up putting the narrative aside in favour of roaming around each locale, looking for artefacts, secrets, tombs and more. In my defence, it was just so easy and enjoyable to do. In fact, it is an experience that harkens back to the original Tomb Raider games of old. 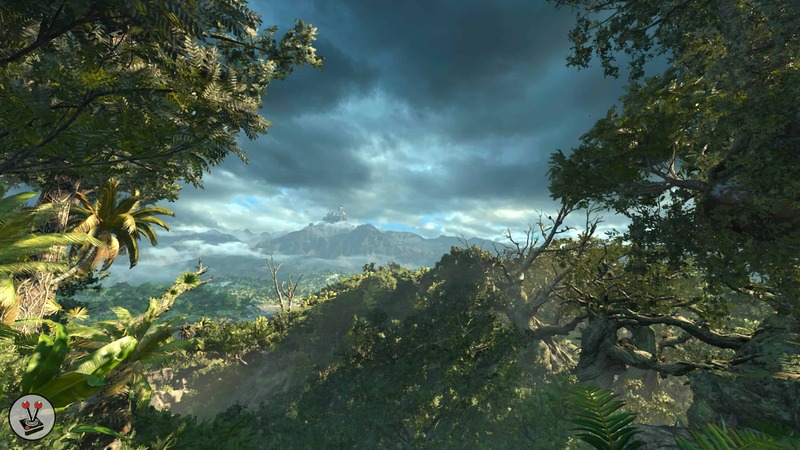 Specifically the first two entries in the series, whereby exploring the game’s surroundings was imperative to successfully completing the game, versus simply being an optional extra. What makes exploration so good in Shadow of the Tomb Raider is Lara’s enhanced move set. 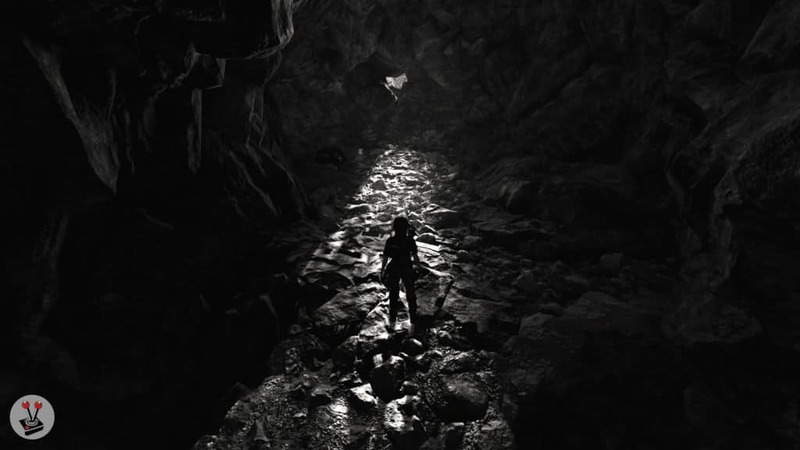 In addition to the large set of moves carried over from the previous games, this time around Lara can traverse the landscape using a new selection of abseiling techniques. These include abseiling down into crevices, wall running, and using a rope to create a temporary swing. Additionally, Lara’s combat and stealth techniques have also received a boost. Lara is now deadlier than ever with her bow and she can now use mud and vines to blend into the scenery – adding some much needed stealth options to the gameplay. Lara’s skill set is now also split into three sections: seeker, warrior and scavenger. Seeker bestows Lara with abilities that enhance her survival and exploration skills (like finding rare animals and revealing dangerous traps). Warrior is for mastering the art of combat and includes giving Lara better precision with her weapons and better reaction times when she slips. Lastly, there is Scavenger, which enhances Lara’s looting abilities and resource management. Just like the game’s difficulty options, the skill trees allow you to customise Lara to your gameplay preference. For myself, I focussed more on Lara’s seeker skills before those featured in warrior and scavenger. Thankfully, there is no right or wrong way to play, and the game allows you to pick and choose skills at your leisure. It is also worth noting that some skills are locked until found in Challenge Tombs – yet another reason to persuade gamers to embrace exploration over action and combat. Skills aside, two popular role-playing game elements have been added to Shadow of the Tomb Raider: clothing and salves. Whilst exploring, Lara is now able to find designs and patterns for new garments and totems with recipes for salves. Unlike in previous games, salves give Lara extra sensory abilities – like being able to track animals or spot enemies. Additionally, clothing now imbues Lara with status boosts that range from increased stealth through to boosts in earning experience points. 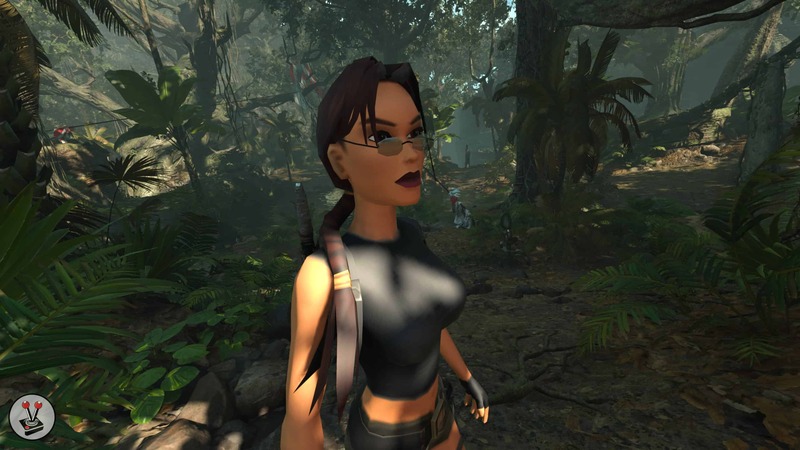 There are also some purely cosmetic options, like being able to play the game using the original character models from Tomb Raider 2 and Angel of Darkness – really great throwbacks. The changes are welcome and allow players to, once again, tailor Miss Croft to their preferred style of gameplay. The clothes also make her look great when she meets her untimely demise – something that you will have to deal with quite a lot, unfortunately. 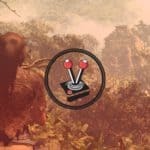 With all of the incredible additions and changes to the gameplay in Shadow of the Tomb Raider, it is a shame that they are let down by some truly unforgivable input latency. A problem that was also present in Rise of the Tomb Raider (2015) at launch, and which was patched out almost a year later with the release of the 20th Anniversary edition of the game. 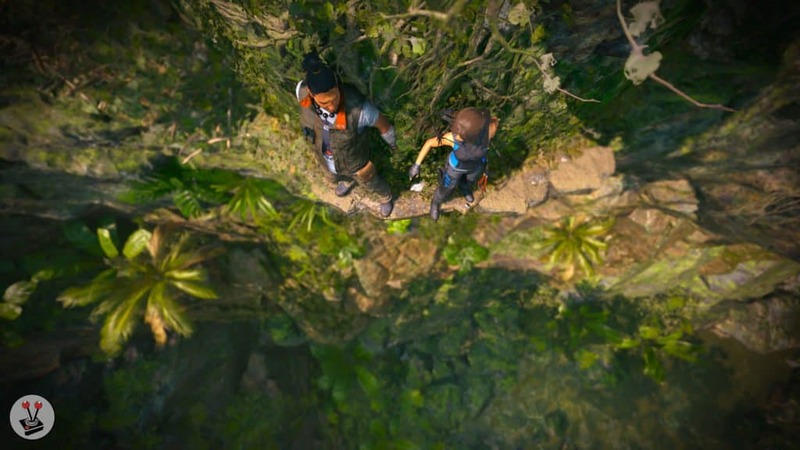 Sadly, the very same input latency issue is now present in Shadow of the Tomb Raider, and it taints the experience of the game in the worst way possible: making exploration more difficult than it needs to be. As I have mentioned, exploration is a key part of Shadow of the Tomb Raider. The new Challenge Tombs feature some of the most incredible puzzles yet seen in the Tomb Raider franchise. Alas, when the puzzles require precise jumps and movements from Lara, the experience quickly devolves from awe to immense frustration. Time and time again, Lara will meet her demise. Whether that is from missing a jump, when you know you pressed the command in time, through to hitting the correct button during a ‘quick time event’; the result often ends in annoyance instead of elation. Thankfully, the game’s visuals help to offset the disappointing controller input. Shadow of the Tomb Raider is, without exception, the most beautiful game in the franchise. I would even dare to say that it is one of the best looking third-party titles released in 2018. The graphical fidelity in the game is on par with a first party title, and that in itself is an incredible feat of optimisation and engineering by the team at Eidos Montreal. There are moments in the game where you will be surprised to find that the game looks just as good as the cinematic cutscenes (which are all rendered in real time using the game’s engine). From the biggest, to the smallest of details, everything is rendered in an outstandingly good fashion. The ancient ruins of the Maya civilisation are brought to life with expert detail in Shadow of the Tomb Raider. 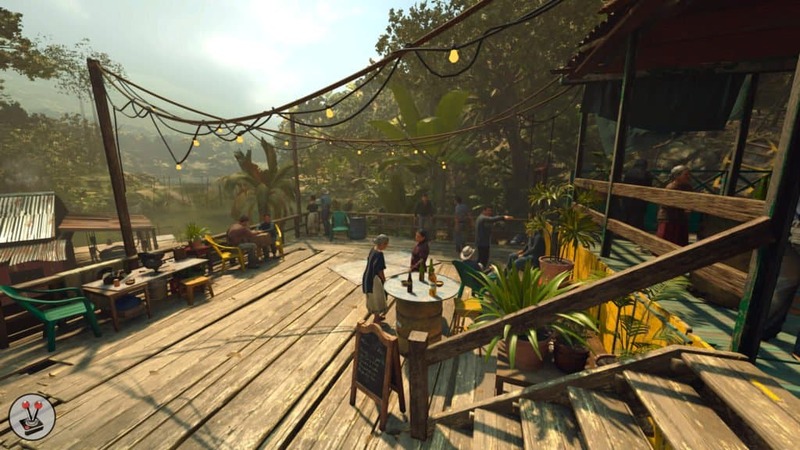 Like most modern titles, the game has an excellent implementation of High Dynamic Range, allowing interiors and outer scenes to meld realistically with each other. 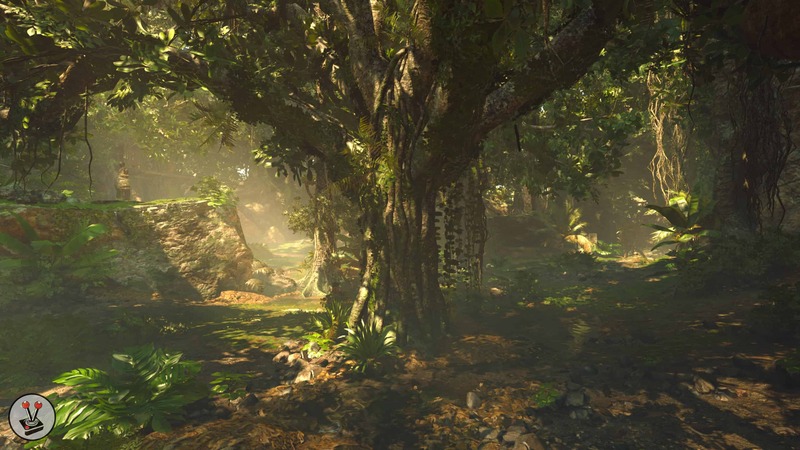 The HDR works in tandem with the superb lighting: shadows behave realistically with every object in the game seemingly being self-shadowed; rays of light stream through leaves, branches and trees; smoke and clouds feature physics driven lightning; and everything in the game is subject to global illumination (this means that light realistically bounces and refracts – like a red wall would cause surrounding objects to give off a slight red glow). Better still are the ways in which the world reacts to Lara. Every single plant in the game reacts to wind, other animals and Lara’s presence. Mud deforms when she walks through it, sometimes even filling with physics based water. Puddles react realistically to Lara’s presence, causing ripples and splashes. Even her clothing and hair have physics based rendering, which means that they move realistically when dry or wet. It goes without saying that the detail in this game is exquisite, which is why I adore the fact that the game has a photo mode. All of the images used in this review have come from my playthrough of the game. The photo mode is activated by pausing the game and selecting the relevant option. 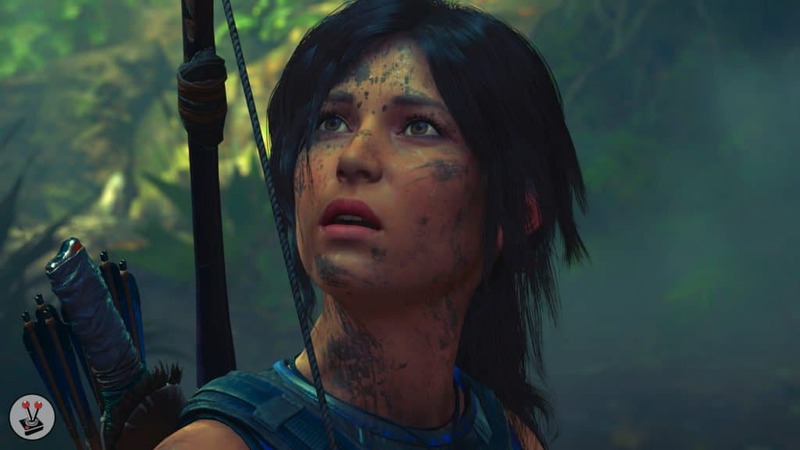 Once activated, it allows players to adjust: field of view, roll/tilt, brightness, saturation, depth-of-field (including distance and intensity), apply a variety of Instagram like filters, add borders, include the game’s logo, and even change Lara’s facial expression. It is a mode that I used far more often than I care to admit, especially because of how utterly gorgeous the game is – I kept pausing and snapping shots versus simply just playing. In terms of photographs, I would like to applaud Eidos Montreal for also including unique achievement art in the game. Far too many games use generic images for unlocking achievements. 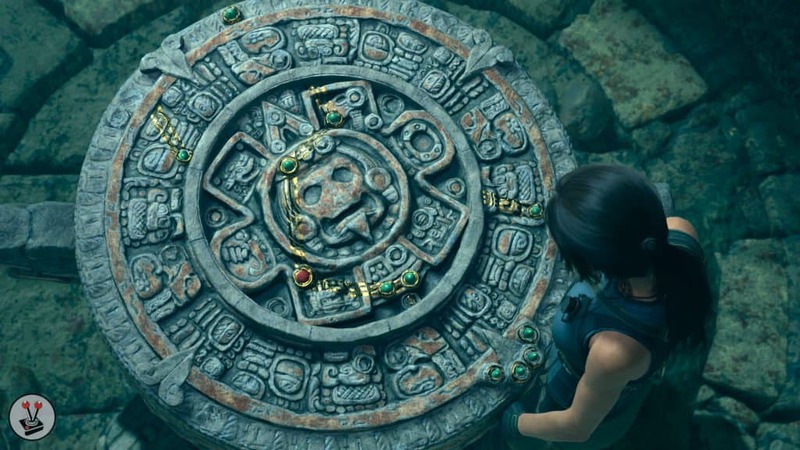 Thankfully Shadow of the Tomb Raider does not follow this trend, and has some spectacular art for certain achievements – perfect for customising the Xbox dashboard. I have the pleasure of playing the game on an Xbox One X, the lead development platform for the game. As such, Shadow of the Tomb Raider offers two different modes of play on the console: High Resolution (HDR, 4K, 30 FPS) and High Framerate (HDR, 1080p, 60 FPS). The former option renders the game in native 4K on the Xbox One X, providing some truly crisp and outstanding visual fidelity. Unfortunately, it is occasionally marred by dips in framerate – an unfortunate blemish on an otherwise gorgeous way to play the game. The latter option renders the game at a lower resolution, but at a higher 60 frames per second. The result is quite spectacular, giving credence to the notion that frame rate trumps resolution; but the higher framerate becomes a moot point when the game suffers from the aforementioned input lag. With both options in mind, I chose to play the game predominantly in the High Resolution mode, purely because of the crispness of the visuals on offer. 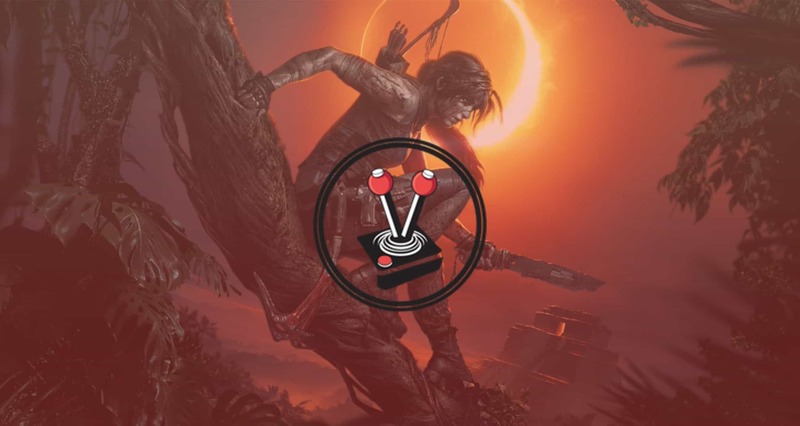 Audio in Shadow of the Tomb Raider is yet another phenomenal addition to the game. 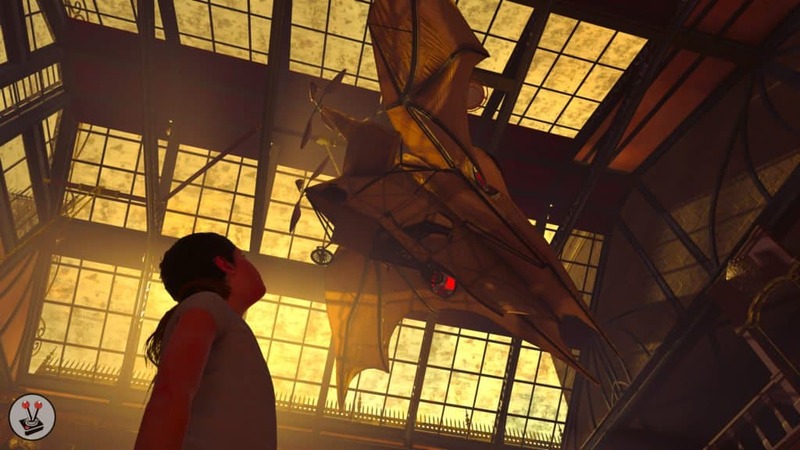 To complement the visuals, the game features support for Dolby Atmos powered home theatre systems. I have such a system, and I can truly say that it changed the way I was able to appreciate the game. Just like the visuals, the smallest attention to detail has been paid to the audio. From being able to hear leaves rustling, brooks babbling, winds howling, rocks crumbling and more; through to animal calls, people talking in their native tongues and the cries of ancient deities, the game is a true aural sensation. It is very clear that Eidos Montreal took just as much time designing the audio as they did the visuals, and it has certainly paid off. In fact, music serves as a large part of how you, as the player, can discern what is going on around Lara. The developers used pre-Columbian and South American instruments to craft the music for the game. As Lara continues her exploration, the music will swell in and out; always changing to reflect what is currently happening to or around her. If you play the game with the aforementioned difficulty settings, all visual cues in the game disappear. Thankfully, the audio has been so carefully crafted, that those cues are still present – as long as you are paying attention. At one point, for example, there was a Challenge Tomb that required I solve a particular puzzle. Each time I managed to solve a piece, the musical score would change – but only ever so slightly. It was a brilliant way to let me know that I was on the correct path, even though there was no visual confirmation in sight (these audio cues and changes are consistent throughout the game). I must also make mention of several other moments in the game that play out like a ‘horror’ because of the audio. As someone who scares easily, this almost stopped me from playing; but I persevered and eventually came face to face with the ‘mystery creature’ – whose howls, cries and screams were bone chilling; an effect that is compounded when you can feel it move around you, using nothing but audio. One final aspect to the audio in the game is that you can opt to allow the people in the game to speak in their native tongue. It is certainly quite an interesting feature, one that I like a lot, except for one thing: Lara only ever speaks in English. Therefore, as much as I enjoyed the novelty of this feature, the fact is that the immersion is ruined by Lara’s non-native responses. A pity, considering how well thought out the rest of the audio in the game is. After five years, Crystal Dynamics’ reboot of Lara Croft’s origin story has come full circle with Shadow of the Tomb Raider. The game successfully builds on the foundations left by the 2013 and 2015 releases in the rebooted trilogy, respectively, and does a wonderful job of fleshing out the final arc in Lara’s ‘origin’ story. Although the overall narrative may not be as strong as in previous titles, it does offer enough to keep players engaged throughout. Of most importance, is how Shadow of the Tomb Raider has allowed Lara to return to her ‘gaming roots’; with a renewed focus on exploration and actual ‘tomb raiding’ versus unnecessary combat and giant action set pieces. Although the new control mechanics are marred by input latency issues, it is a small price to pay when one is given the option of exploring a gorgeous and fully realised ancient Maya civilisation (including apocalyptic end results) – making for a truly memorable experience. 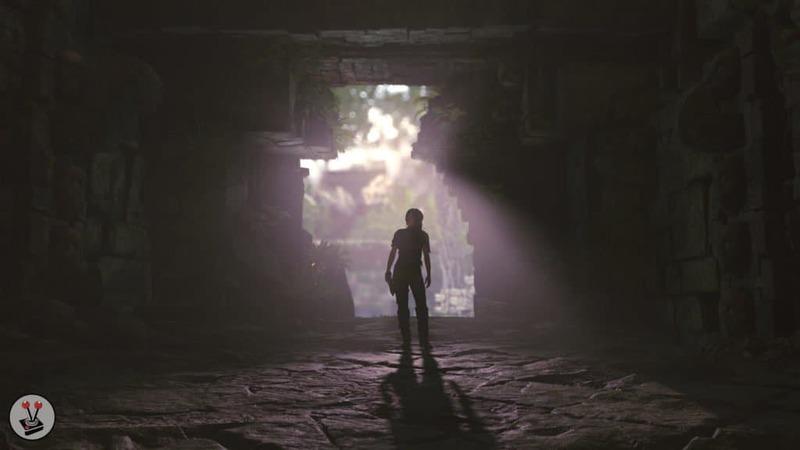 After five years, Crystal Dynamics' reboot of Lara Croft's origin story has come full circle with Shadow of the Tomb Raider. The game successfully builds on the foundations left by the 2013 and 2015 releases in the rebooted trilogy, respectively, and does a wonderful job of fleshing out the final arc in Lara's 'origin' story. Although the overall narrative may not be as strong as in previous titles, it does offer enough to keep players engaged throughout.